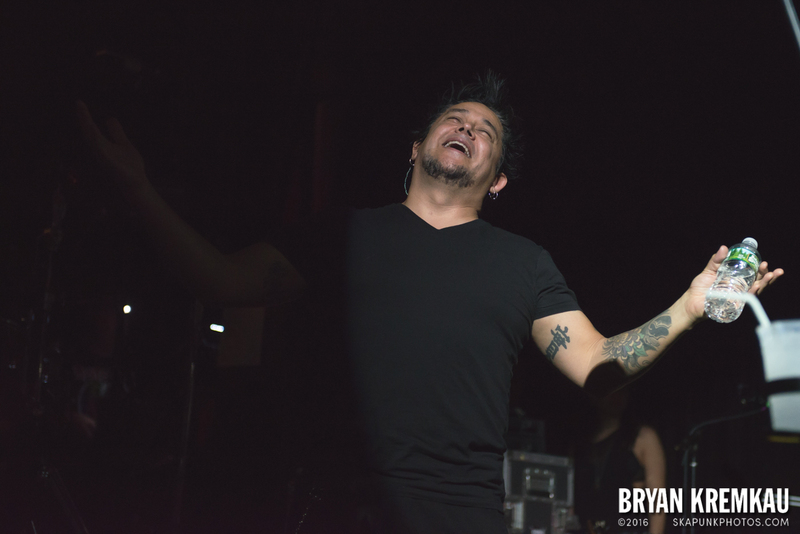 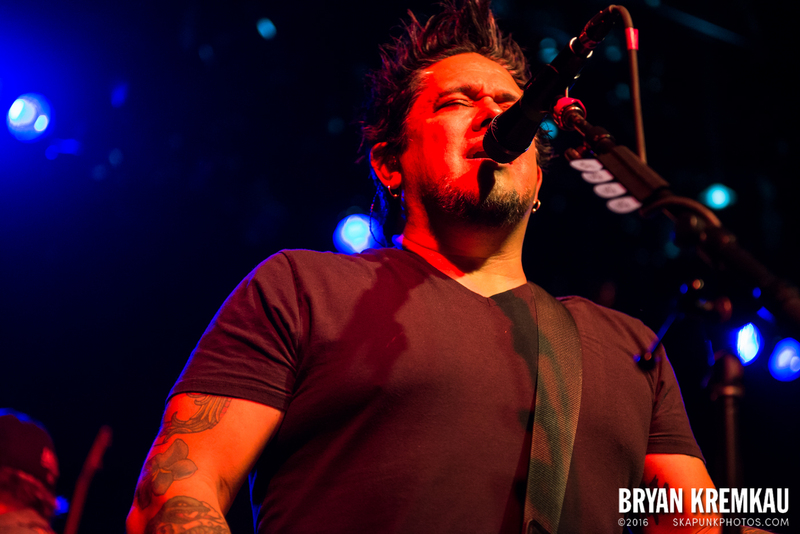 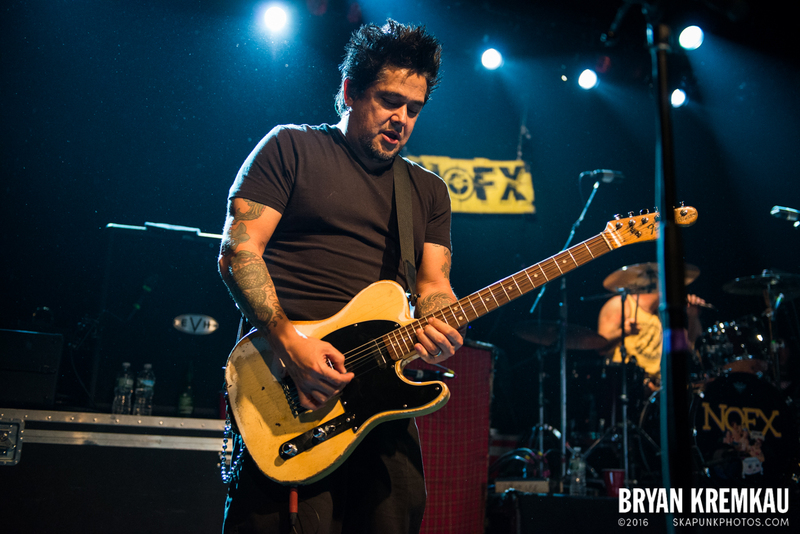 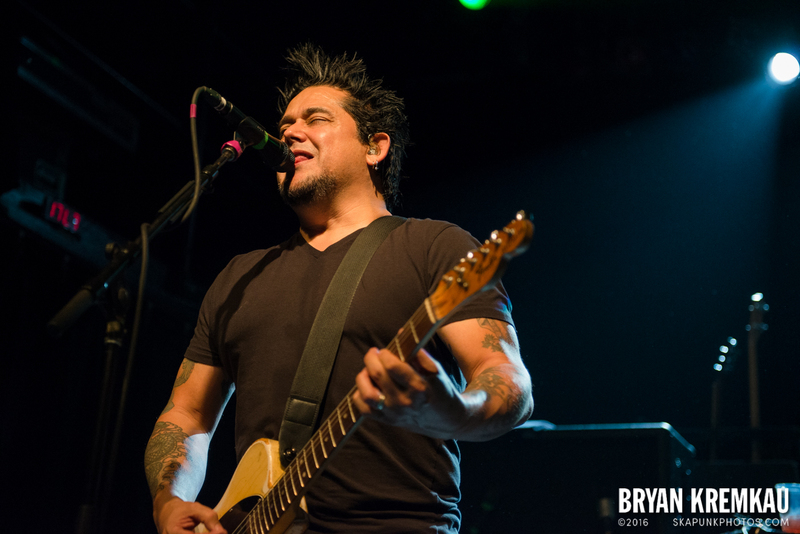 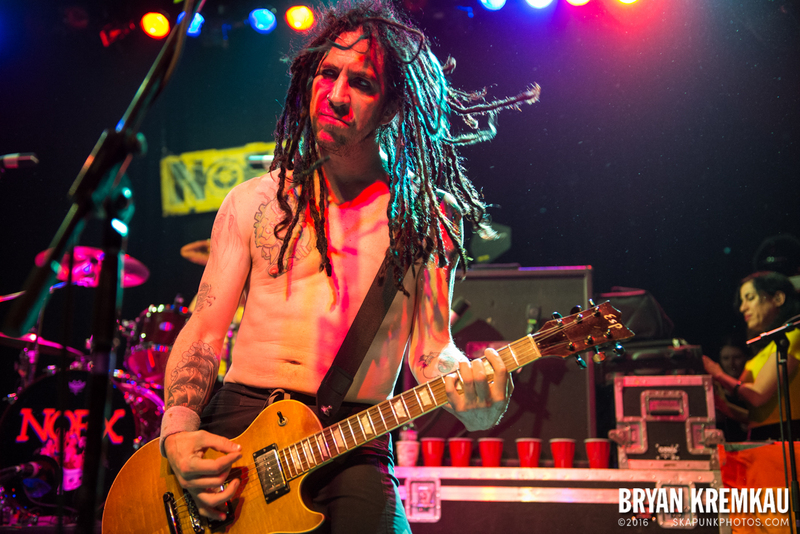 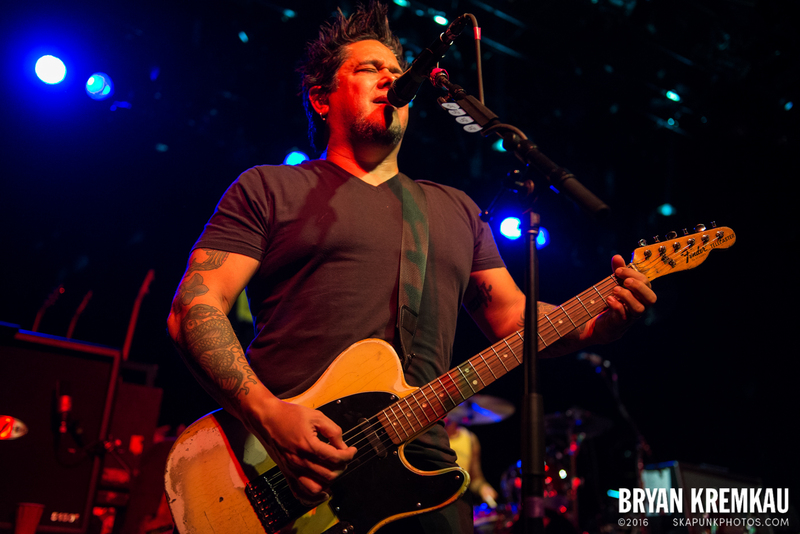 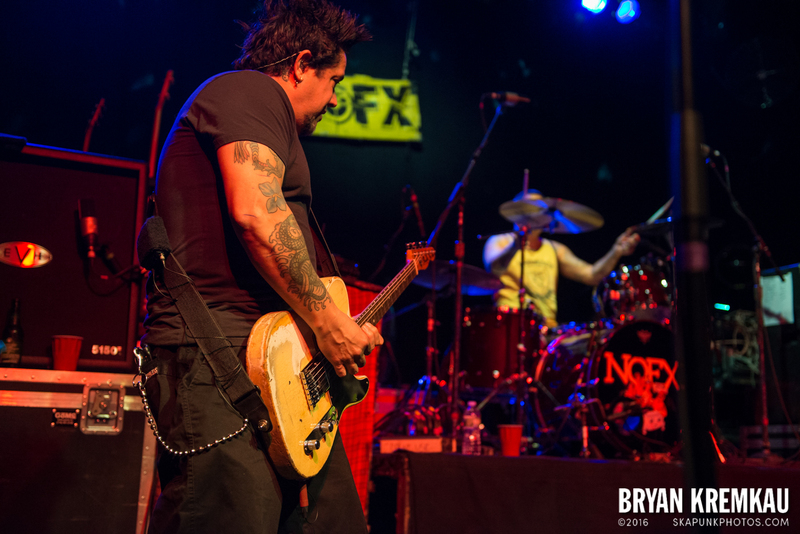 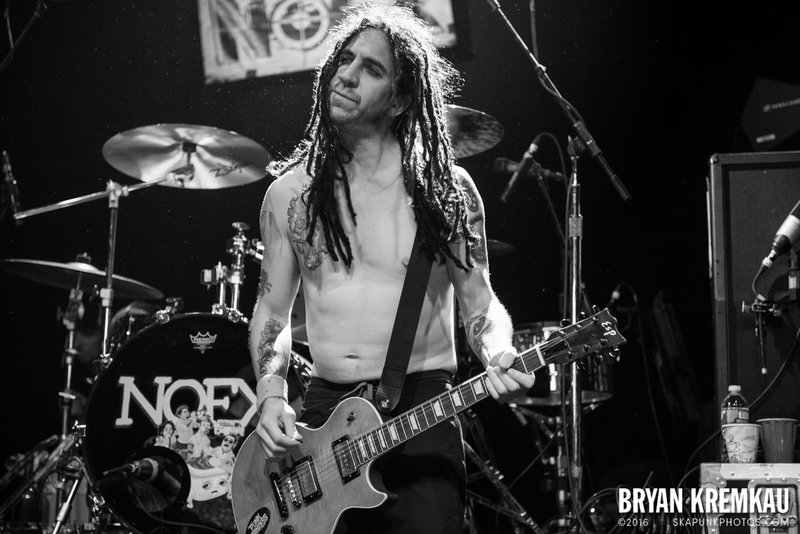 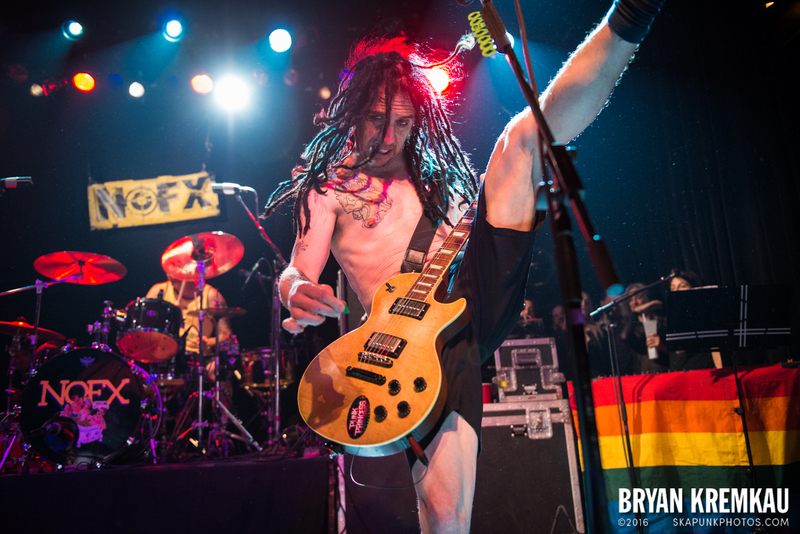 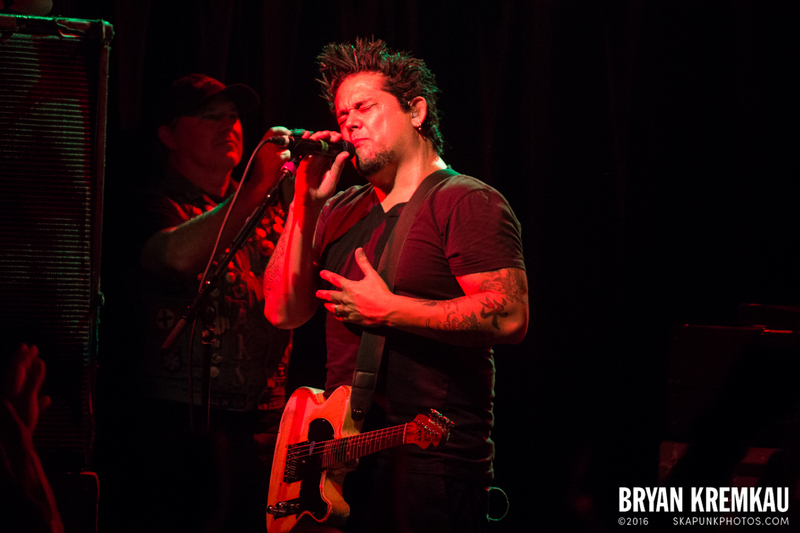 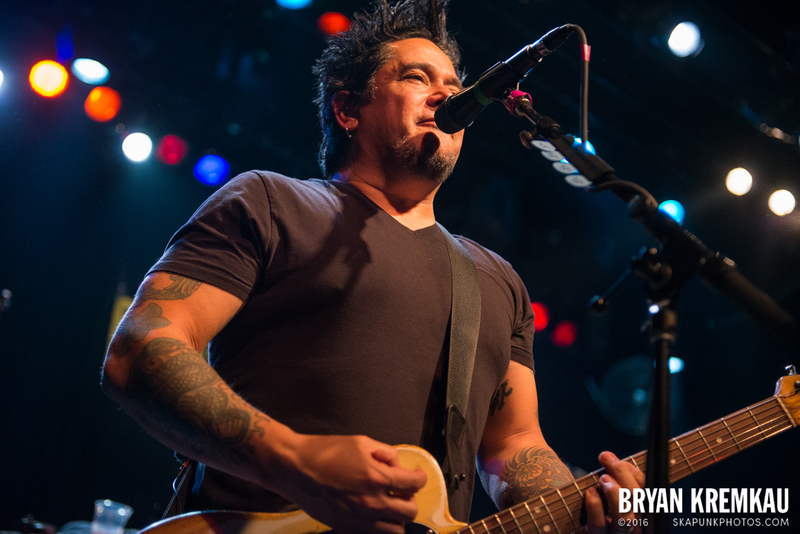 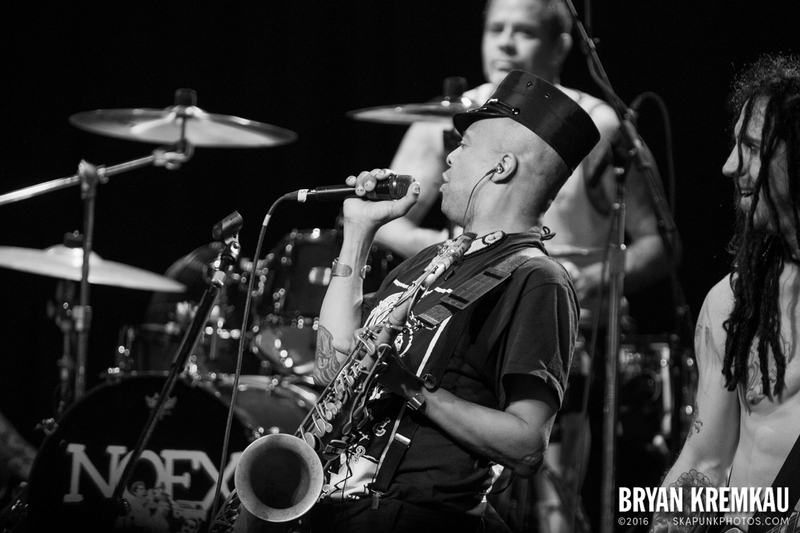 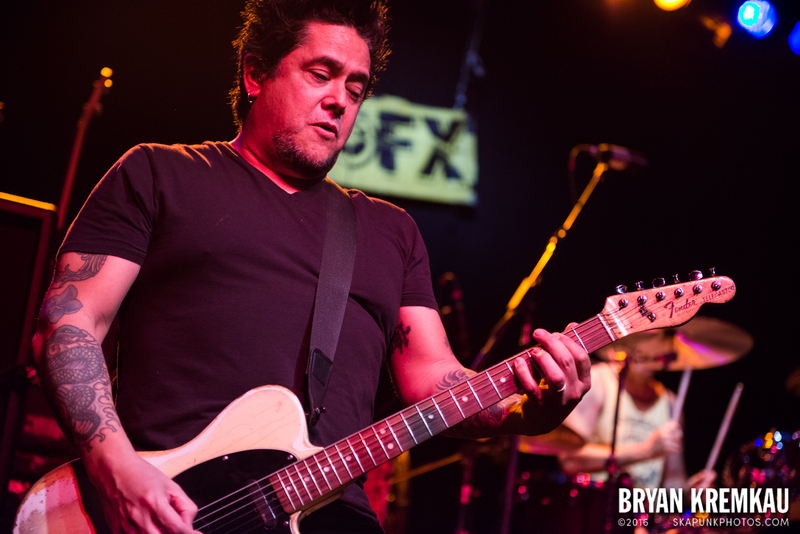 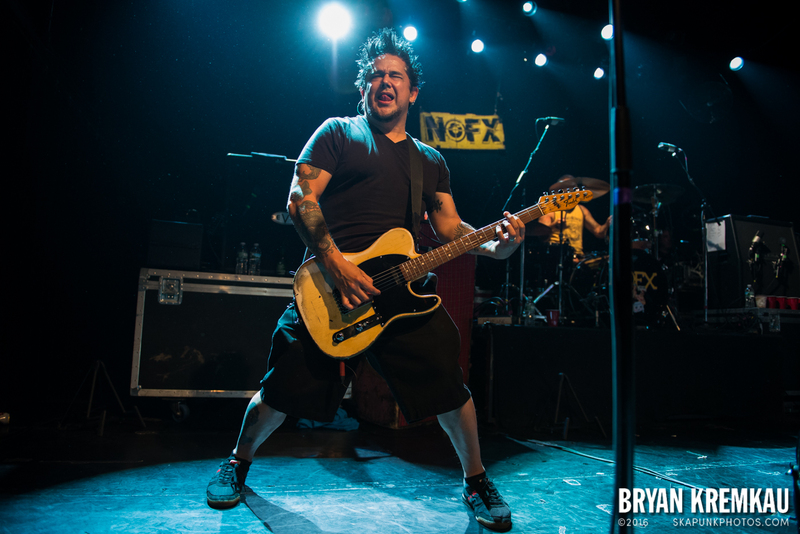 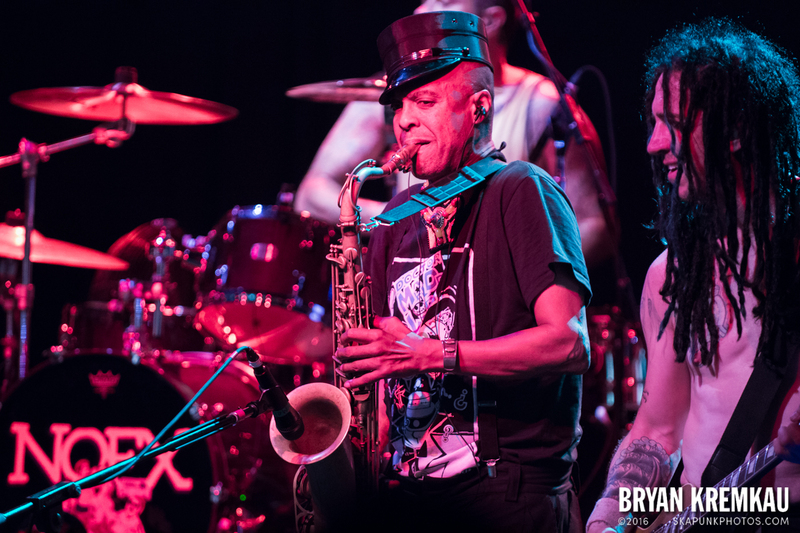 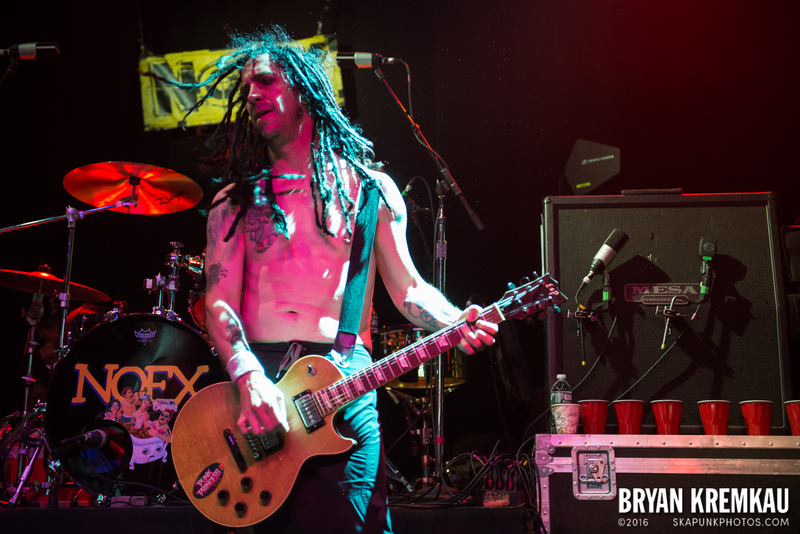 I’ve been shooting NOFX a lot over the years and they are still one of my favorite bands to photograph. 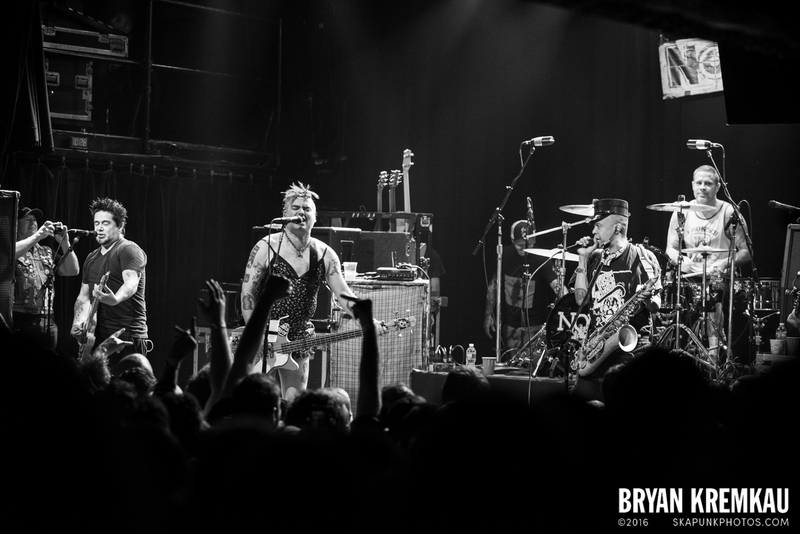 What I like is the unpredictability of their sets and that anything can happened. 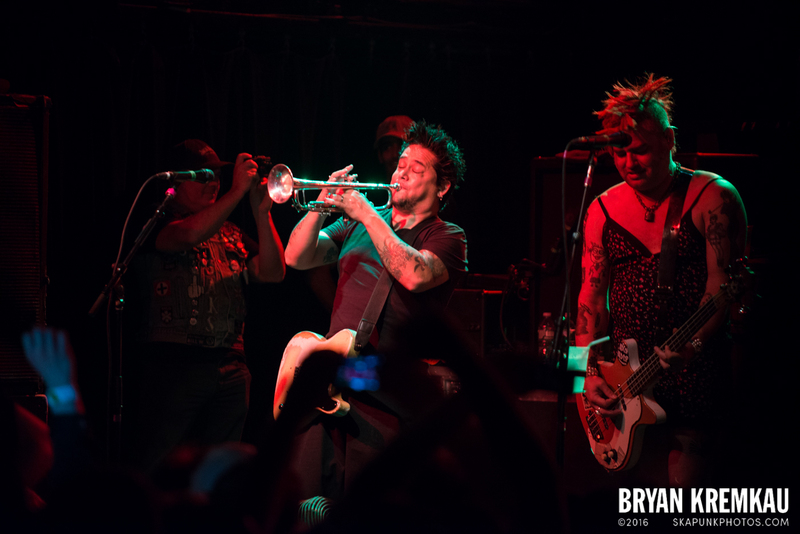 It also helps they usually have good lighting and makes it easier to shoot. 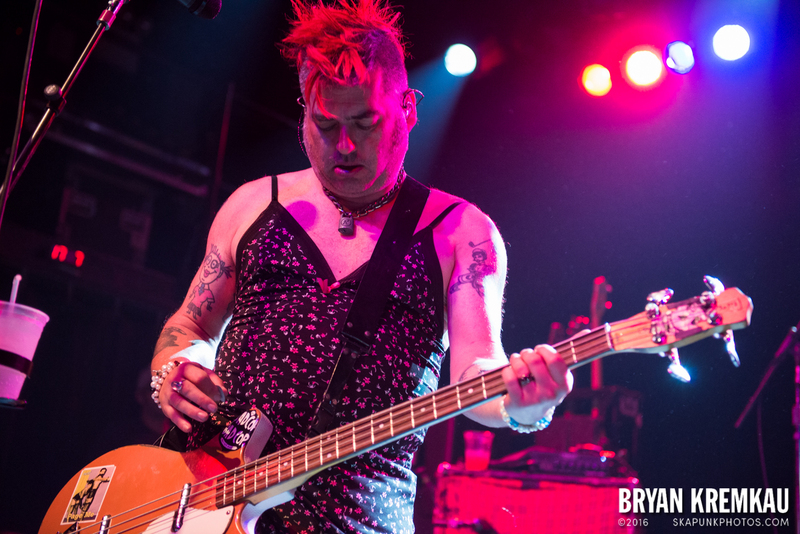 My full review is at ReadJunk.com if you want to read it there. 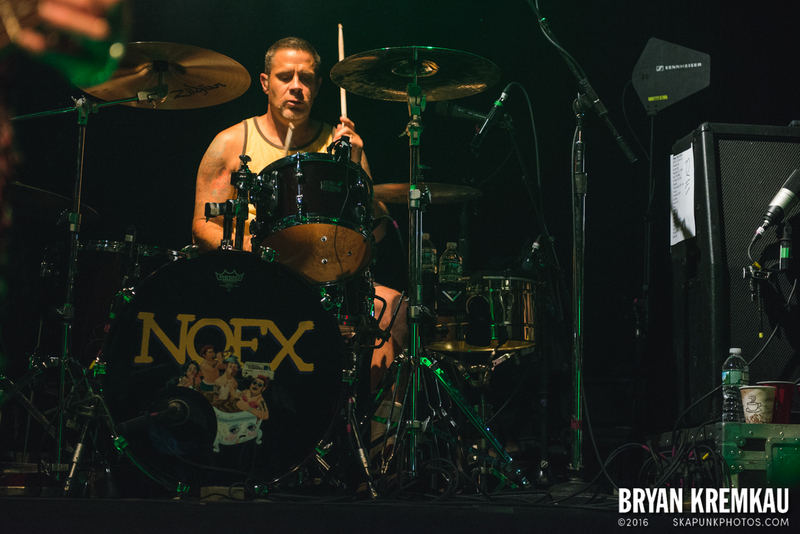 The photo pit was packed for this show, so it was hard to maneuver around the photographers, bouncers and you had to have one eye on the crowd. 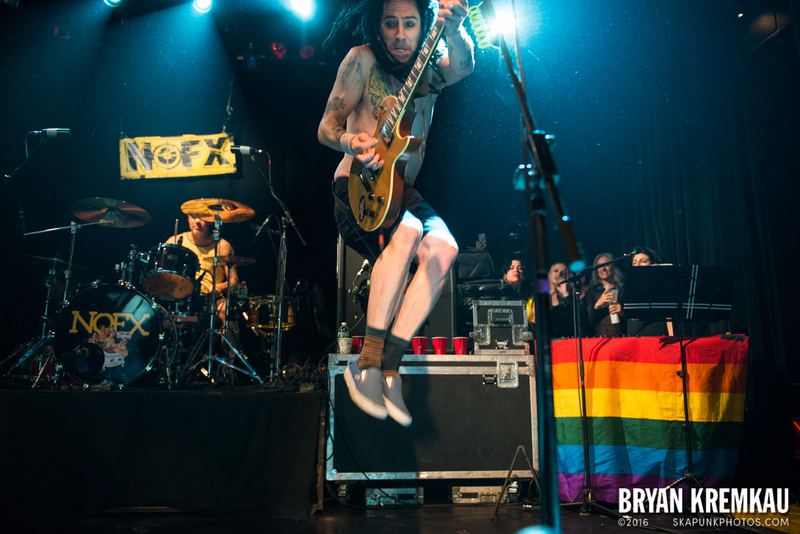 There were a few times shooting when I saw the bouncer come towards me with a crowd surfing. 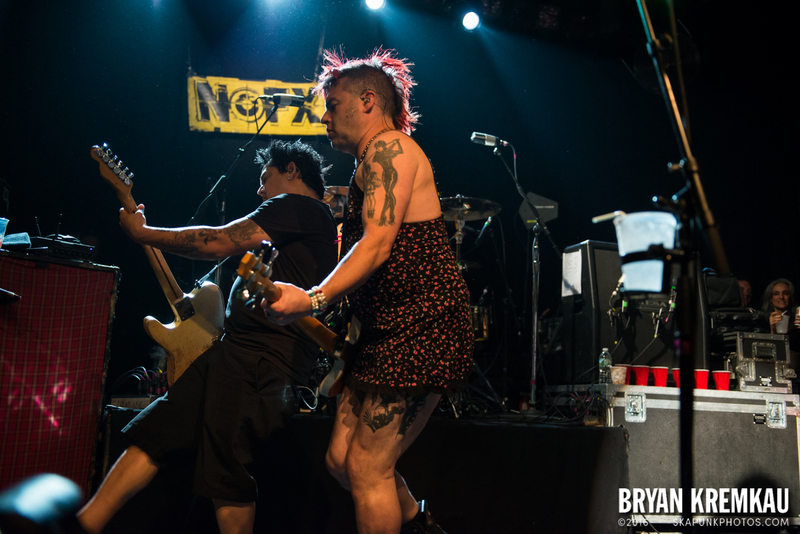 That’s something I always tell newbie photographers shooting a punk show, watch out for the crowd. 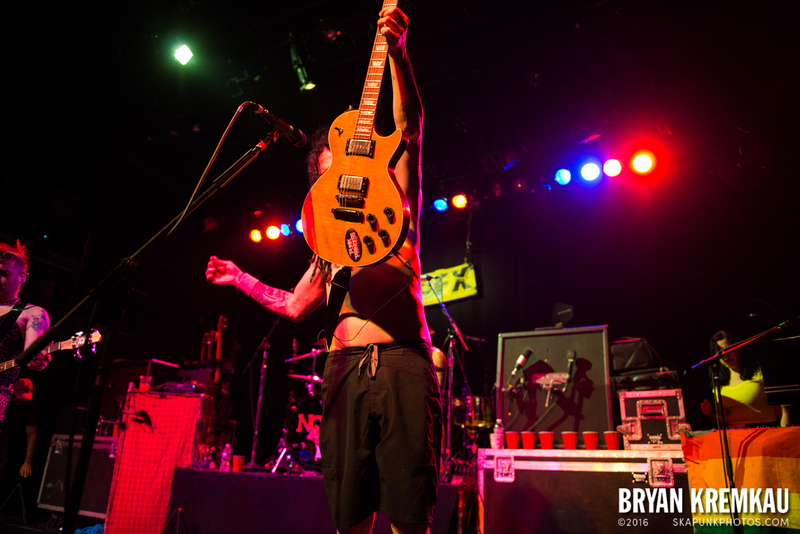 I’ve seen photographers get their heads cracked open at Warped Tour. 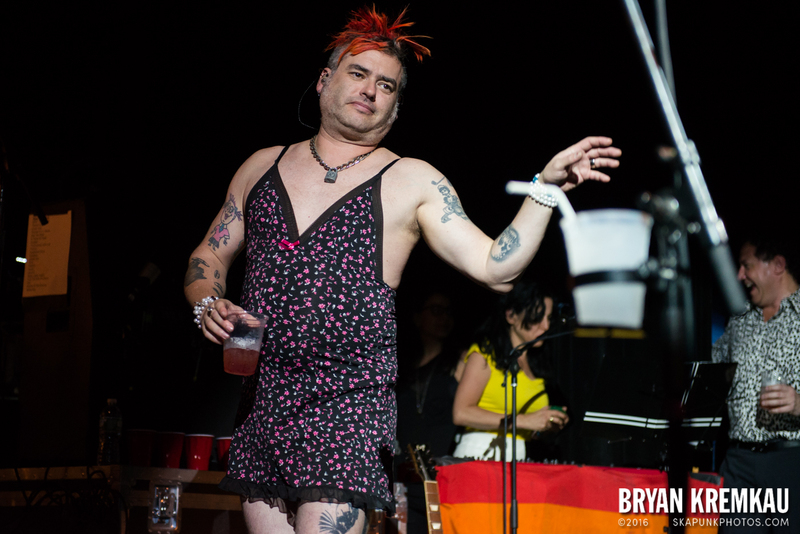 Not fun. 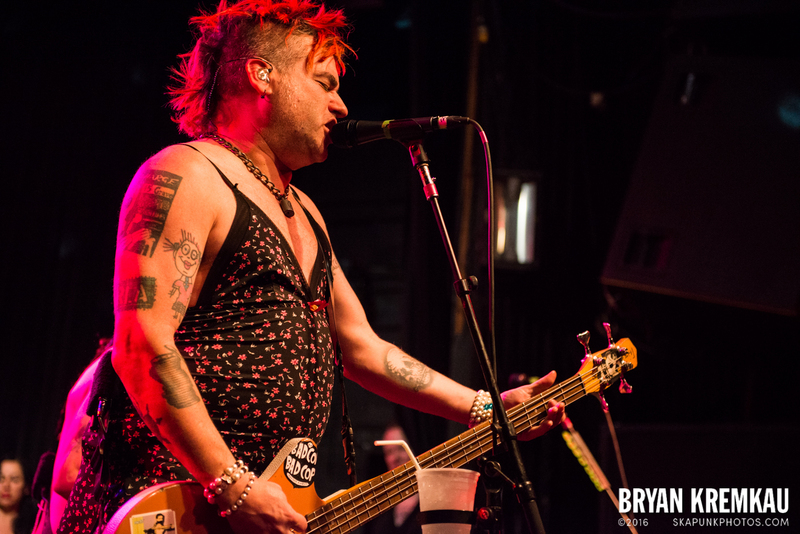 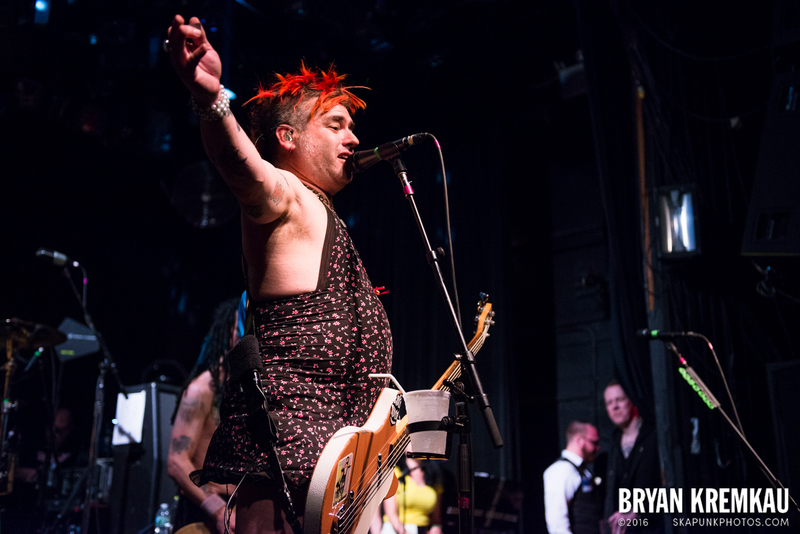 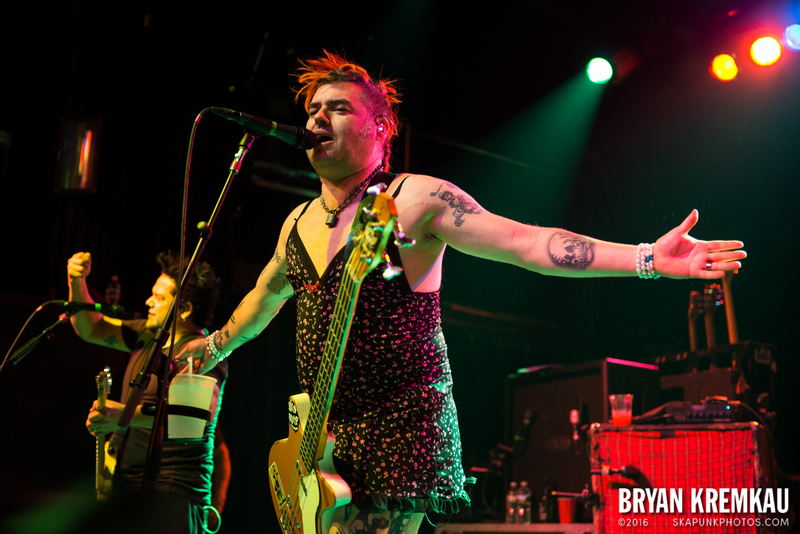 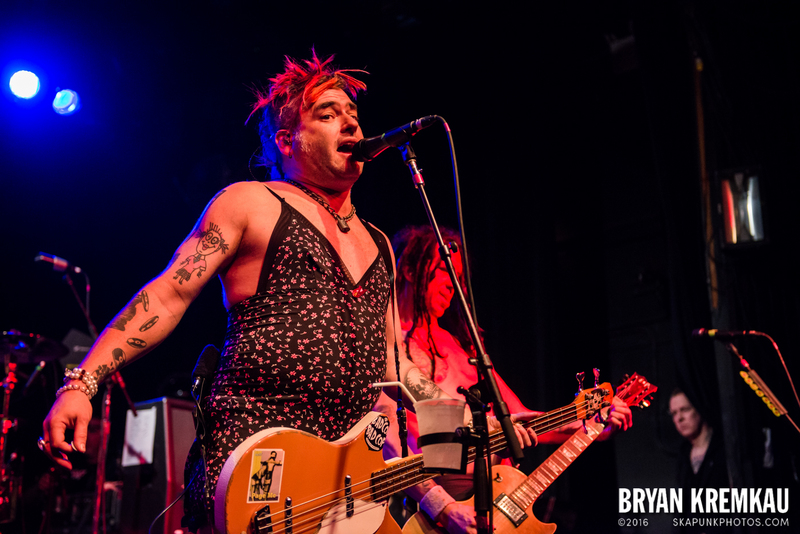 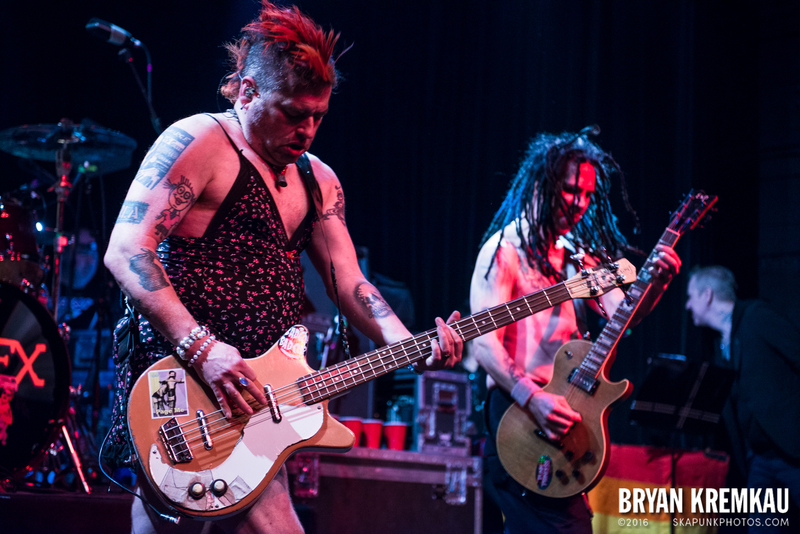 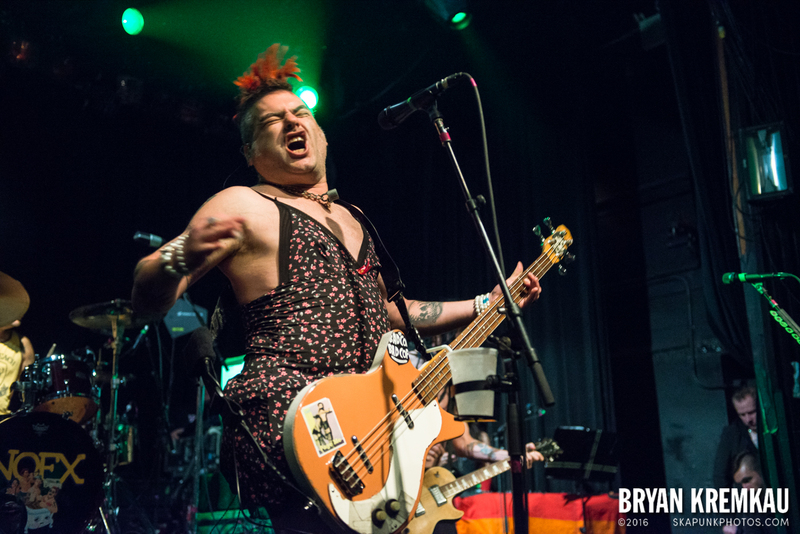 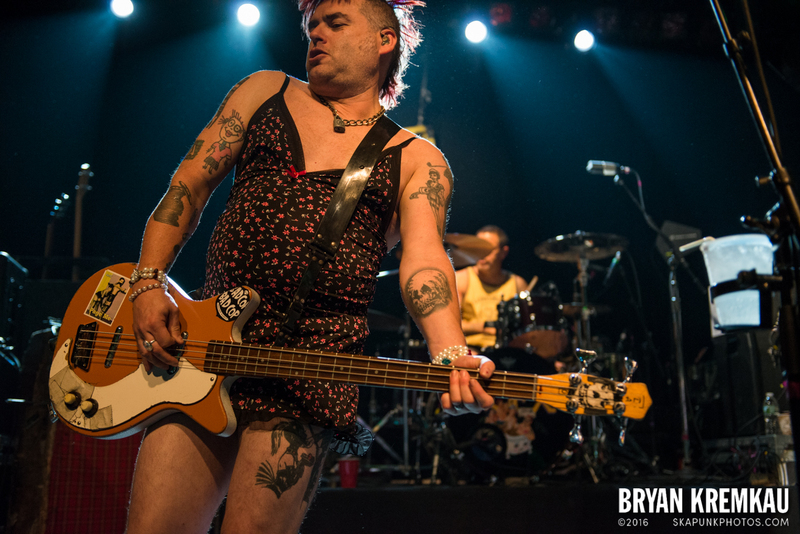 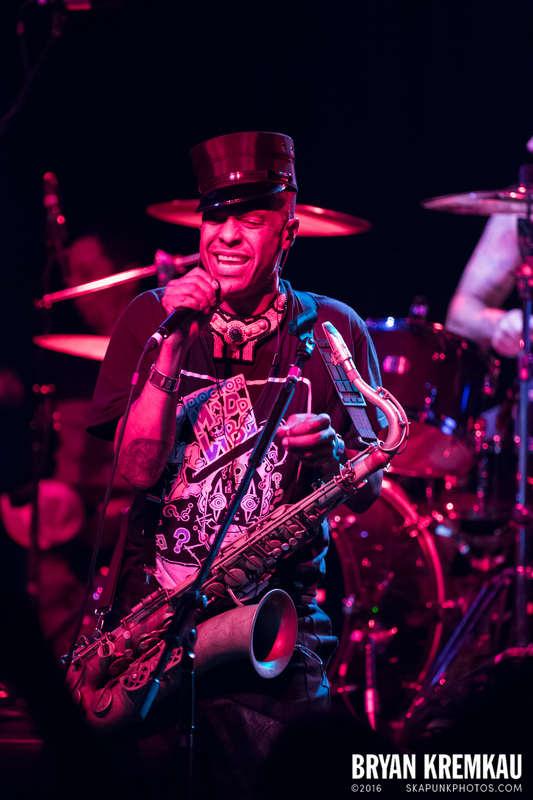 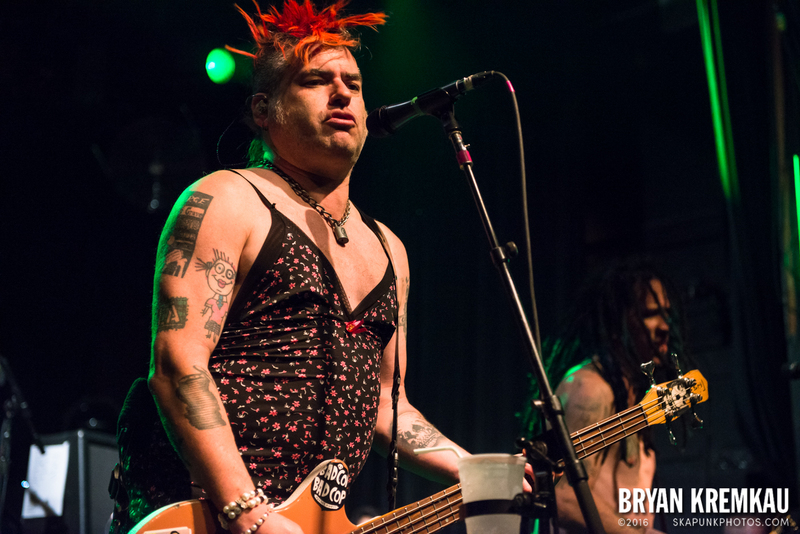 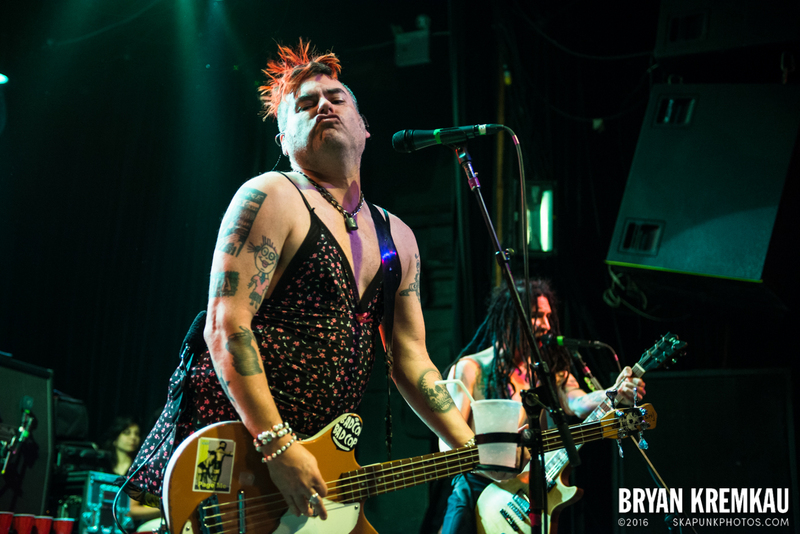 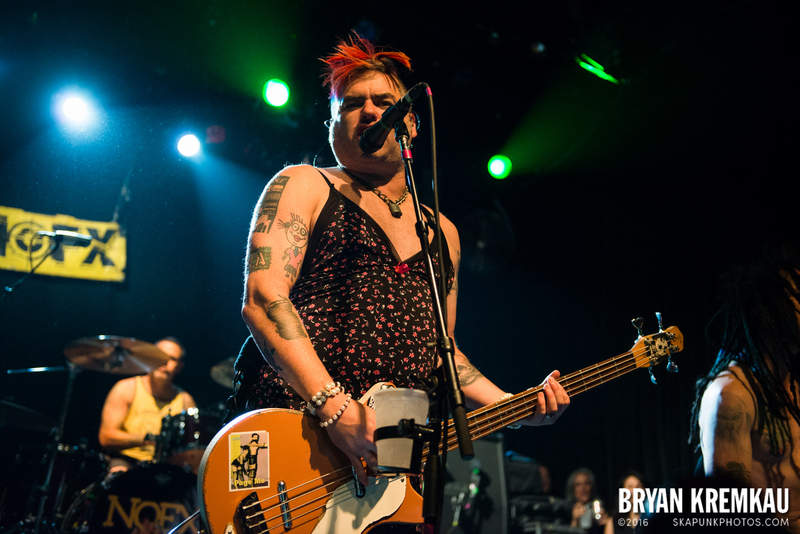 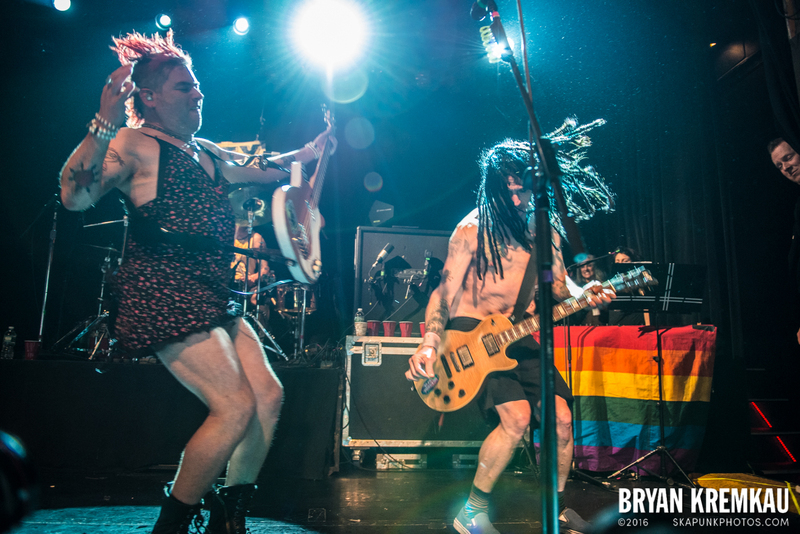 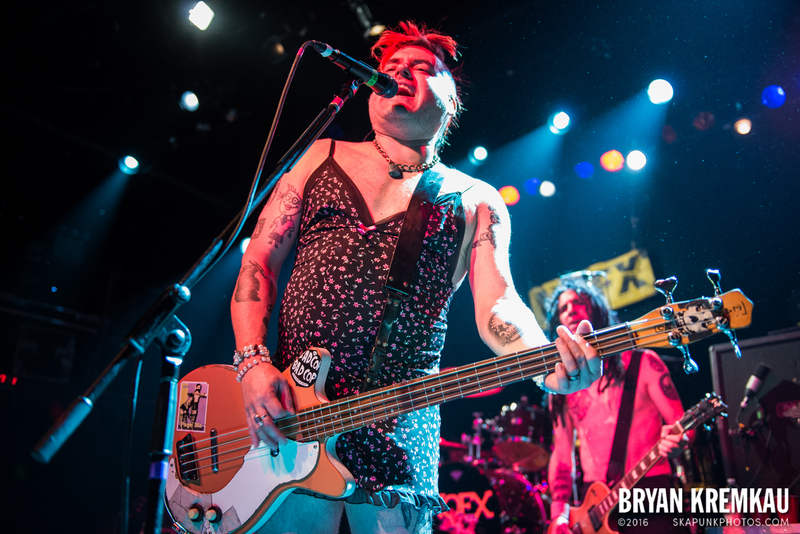 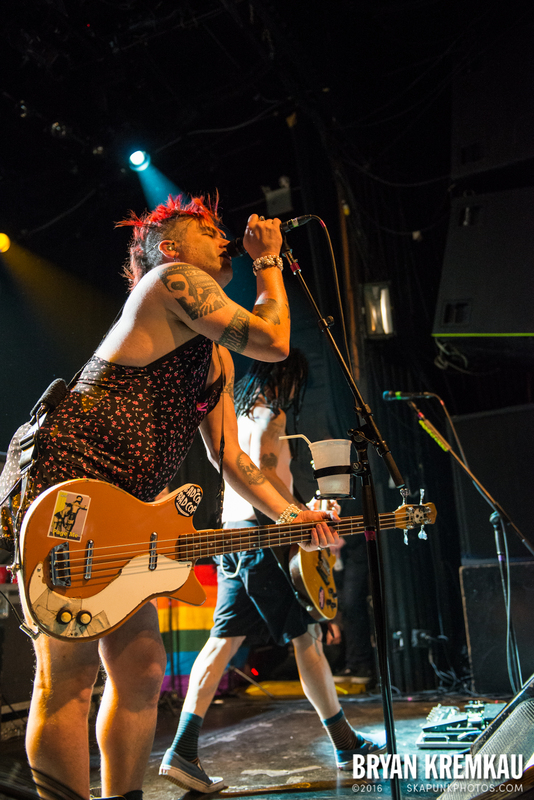 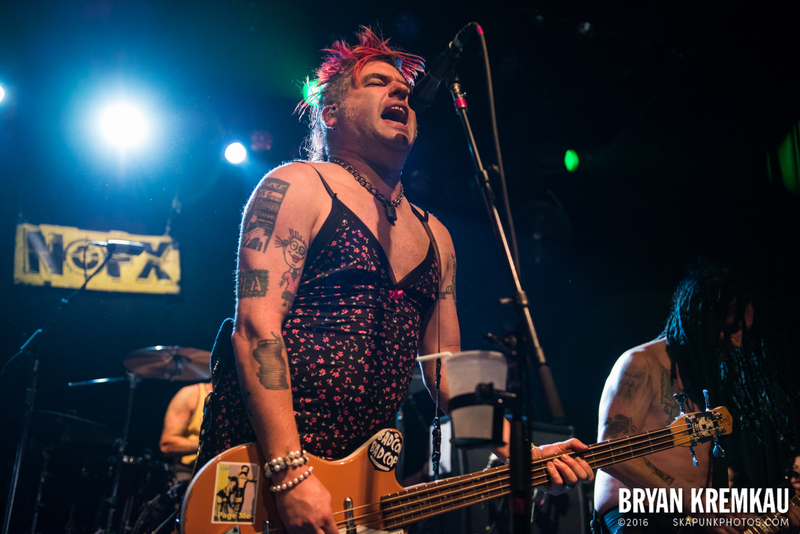 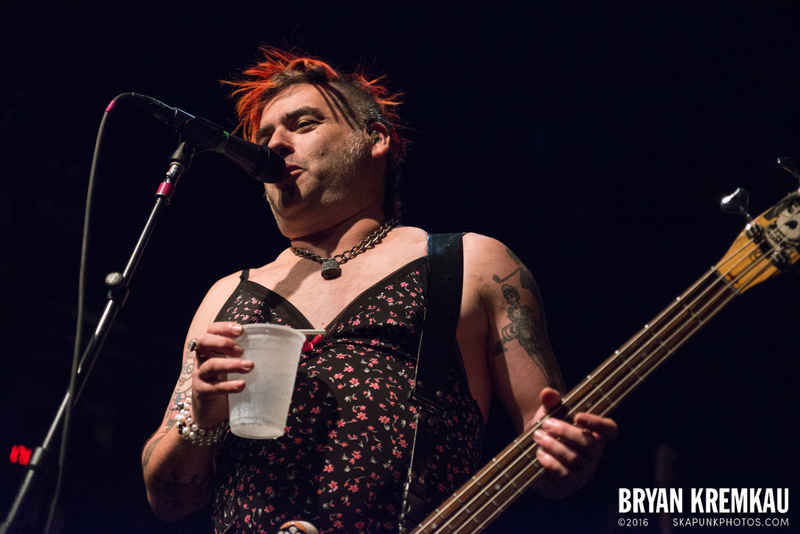 With Fat Mike wearing skirts and dresses on stage now, you kind of have to be mindful of things showing up on your photos. 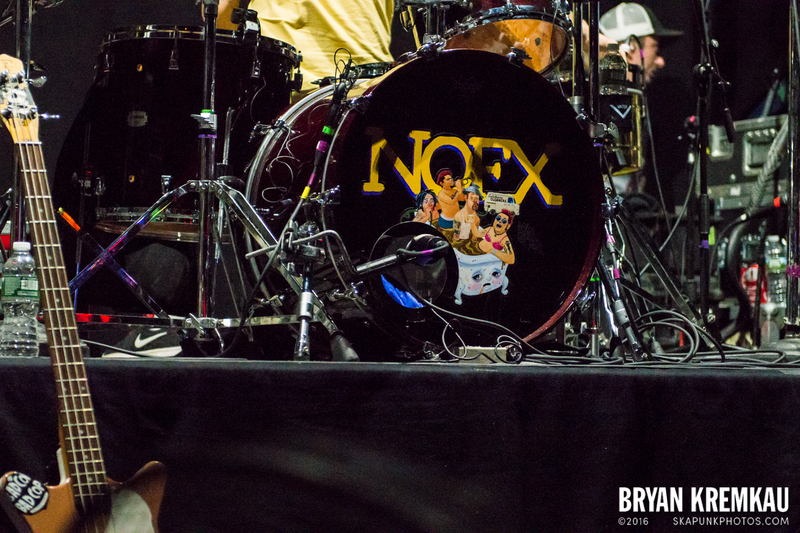 I couldn’t tell if his package was showing or not, so I thought it would be funny to just have a photo of a kitten’s head in the area. 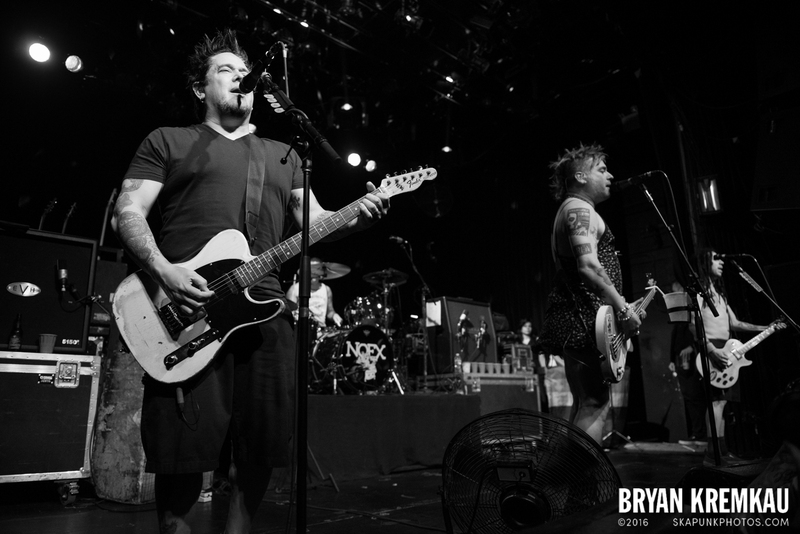 See if you can find the photo in the set. 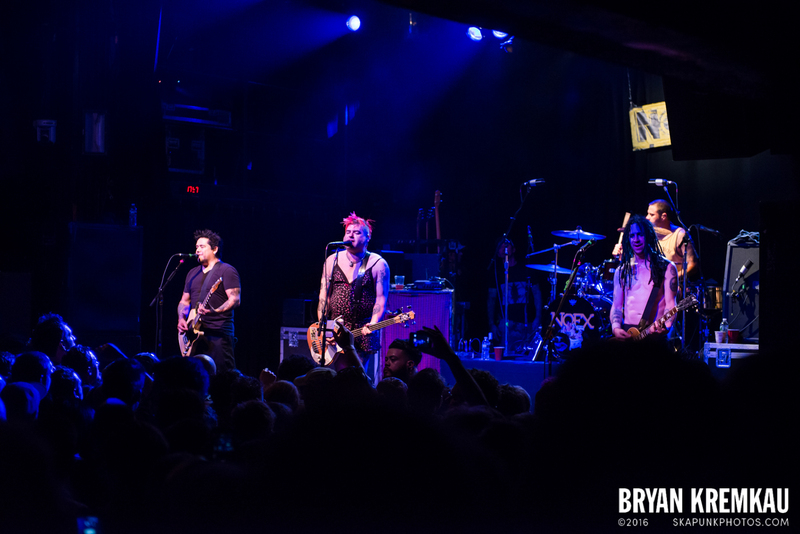 Other than that, got a few decent photos but like with any set, wish I had more time to photograph them.